The Saturday before US Labor Day has been informally designated as International Bacon Day, celebrated in the United States, Canada, and even Japan! 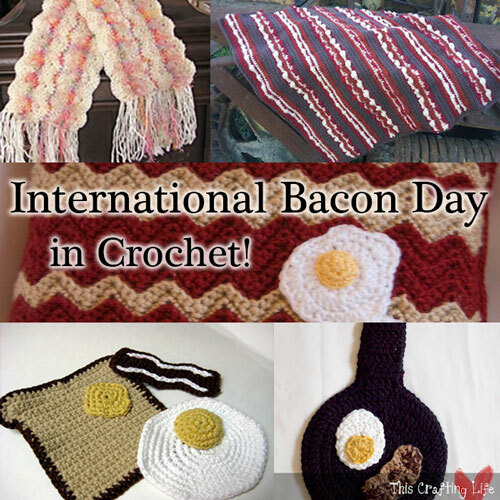 As this tasty tradition spreads, here are a few free crochet bacon treats to help you celebrate! 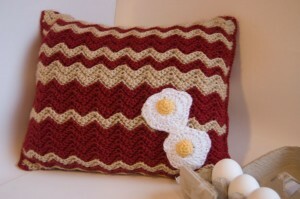 Bacon and Eggs Pillow – This one is familiar to all you long time moogly fans! 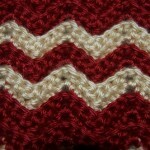 The original went off to a cancer benefit auction, but the pattern remains for all! 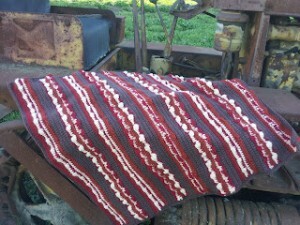 Bacon Baby Blanket 2.0 from Crochet Dynamite – Too funny! Start ’em early with a giant dose warm, cuddly crochet bacon! The texture on this one is great! 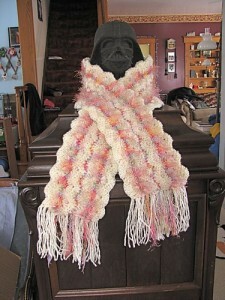 Bacon Scarf by Holly Oyster – This free Ravelry download is soft, fuzzy, and a delicious use of that crazy novelty eyelash yarn! And somehow, yes, it still looks like bacon! 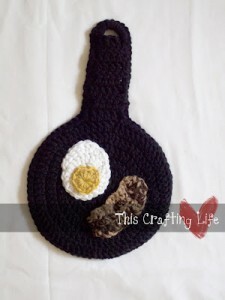 Crochet Breakfast by Bean Sprout Creations – Let them play with their food! 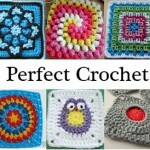 Their play crocheted food, that is. 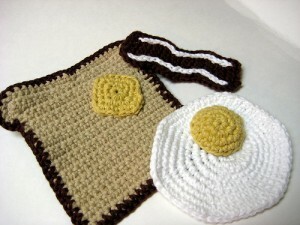 This fun set includes toast, an egg, and a nice big slice of what else… bacon! Don’t need play food? 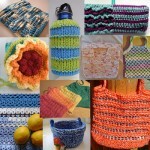 I can see these as great dishcloths too! That’s it for today! I’m off to start my 3 day weekend, and batten down the hatches for the impending big storm (remnants of Isaac, expected any moment now). Hope you all have a great weekend filled with yarny goodness and, for those who indulge, lots and lots of bacon! 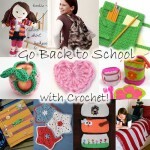 Go Back to School with Crochet: 10 Free Patterns! 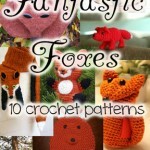 Crochet Fox Patterns: Fierce, Fetching, and Fantastic!